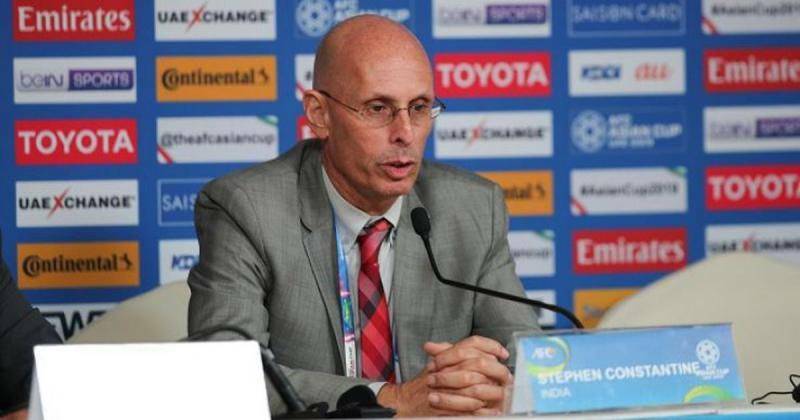 An emotional Stephen Constantine announced his decision to quit the Indian team after the Blue Tigers were knocked out of the Asian Cup with an injury-time penalty from Bahrain in their final Group A game at the Sharjah Stadium. With the game tied at 0-0, India were just minutes away from entering the knockout stage, but a defensive error awarded Bahrain a penalty in the 90th minute. Jamal Rashed effortlessly converted the penalty to earn Bahrain’s ticket to the next round and end India’s hopes of making history. India, the 98th ranked team in the world, ended their campaign with three points. Their stunning 4-1 win over Thailand was followed by a 2-0 defeat to hosts UAE. But India went into their final group game on Monday knowing a draw would be enough for them to enter the Asian Cup knockout rounds for the first time in their history. But Rashed’s penalty broke their hearts. And Constantine, who began his second stint with India in 2015, said it was time to say goodbye to a country which made steady progress in football with him as national coach. “I am stepping down after this game,” Constantine said at the post-match press conference. “I have been here with the Indian team for four years. My objective from day one has been to qualify for the Asian Cup. I have done that and I am exceptionally proud of the players. For everything that they have given,” said the English coach who also managed India from 2002 to 2005. India’s performance in the Asian Cup surprised many and even earned praise from their opponents. But the team had made considerable progress under Constantine, breaking into the top 100 of Fifa rankings in 2017 for the first time in 21 years. Now Constantine says Indian football must build on this success. “Look, I was first with India from 2002 to 2005. I left the team in 2005 and the football in the country was in better place than it was in 2002 when I arrived,” he said. Was Monday’s heartbreaking defeat to Bahrain his saddest result in his coaching career? “It’s not the saddest day, but yes it wasn’t a great day to be honest,” he said. India, needing a draw to qualify for the next round, came up with a heroic defensive display only to falter in the dying minutes. “Obviously I am bitterly disappointed. To go out in the 90th minute with a penalty is really tough. The boys gave everything,” Constantine said.